Drivers on Colorado’s interstate 25 may have gotten a good scare last Thursday, and it wasn’t a Halloween prank—glancing into the cab of an Otto 18-wheeler loaded with a beer delivery, they’d have been stunned to notice there was no one at the wheel. 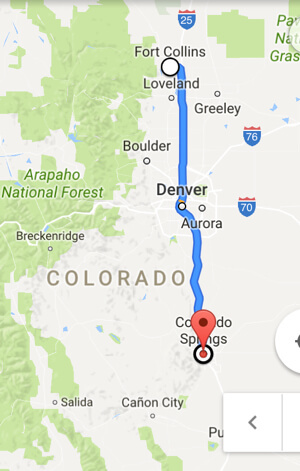 In the first-ever commercial shipment completed using self-driving technology, the truck drove itself 120 miles from Fort Collins to Colorado Springs while its human driver sat in the sleeper cab. The driver did have control of the truck from departure until it got on the highway, and took over again when it was time to exit the highway. Uber acquired Otto in August for $680 million. The company partnered with Anheuser-Busch for its first autonomous delivery, which consisted of 50,000 cans of beer—cargo many would consider highly valuable. Because of the relatively constant speed and less-dense surroundings, highway driving is much simpler for a driverless vehicle than city driving. There are no stop signs or pedestrians to worry about, and it’s not even necessary to change lanes if the delivery’s not on a tight schedule. 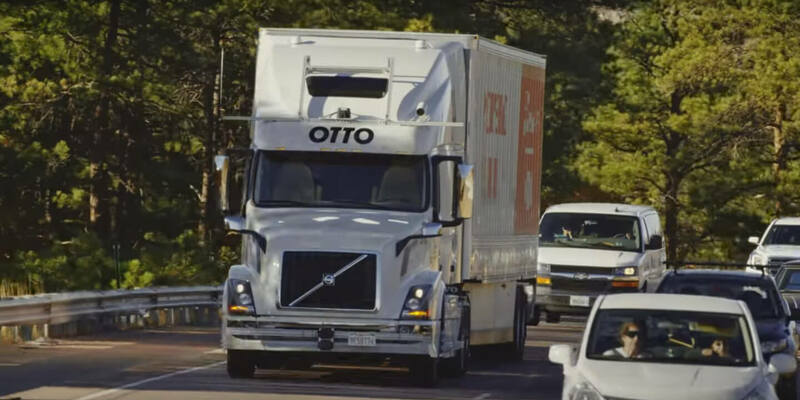 To switch from human driver to self-driving mode, all the driver had to do was press a button labeled “engage,” and this kicked the truck’s $30,000 of retro-fitted technology into action: there are three lidars mounted on the cab and trailer, a radar attached to the bumper, and a high-precision camera above the windshield. The company made sure to plan the trip at a low-traffic time and on a day with clear weather, carefully studying the route to make sure there wouldn’t be any surprises the truck couldn’t handle along the way. Though self-driving cars certainly get more hype than self-driving trucks do, self-driving trucks are currently more necessary and could have an equally disruptive, if not larger, effect on the economy. Anheuser-Busch estimates it could save $50 million a year (in the US alone) by deploying autonomous trucks across its distribution network. Now extrapolate those savings over the entire trucking industry, extending the $50 million estimate to every company that delivers a similar volume of cargo throughout the US via trucks. The total easily leaps into the billions. But what about all those jobs? This doesn’t mean the company would fire all its drivers; savings would come from primarily from reduced fuel costs and a more efficient delivery schedule. As of September 2016, the trucking industry employed around 1.5 million people, and 70 percent of cargo in the US is moved by trucks, with total freight tonnage predicted to grow 35% over the next ten years. That’s a lot of freight. And as it turns out, the industry is sorely lacking in drivers to move it. The American Trucking Association estimates its current shortfall of drivers at 48,000. So rather than displacing jobs, autonomous trucking technology may actually help lift some of the burden off a tightly-stretched workforce. Instead of pulling over to sleep when they get tired, drivers could simply time their breaks to coincide with long stretches of highway, essentially napping on the job and saving valuable time, not to mention getting deliveries to their destinations faster. Besides taking a load off drivers, self-driving trucks will likely make the roads far safer. According to the Insurance Institute for Highway Safety, about one in ten highway deaths occurs in a crash involving a large truck, and over 3,600 people were killed in large truck crashes in 2014. The biggest culprit? Human error. 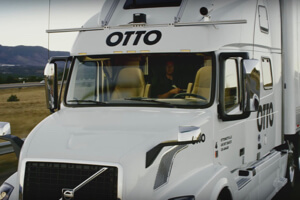 Otto’s trucks are considered to be in the Level 4 group of autonomous vehicles, which means human drivers are unnecessary in reasonably controlled environments; on the highway, drivers can actually take a nap if they want to. In comparison, Tesla’s Autopilot system is considered Level 2, meaning it helps the driver by maintaining speed and avoiding obstacles, but the driver still needs to be engaged and paying close attention. 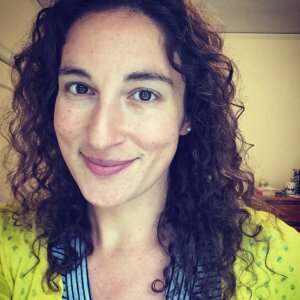 Besides the fact that the technology has a ways to go before being ready for large-scale deployment, barriers like regulation and plain old resistance to change could slow things down. Drivers interviewed for a New York Times article were far from endorsing the co-pilot idea, due both to safety concerns and the degree to which self-driving technology would change the nature of their jobs. If it were me, I know a whole lot of testing would have to be done before I’d be okay with falling asleep inside a vehicle moving at 60 miles an hour without a driver. Once the technology’s been proven to a fail-proof rate, however, truckers may slowly adapt to the idea of being able to drive 1,200 miles in the time it used to take to drive 800.